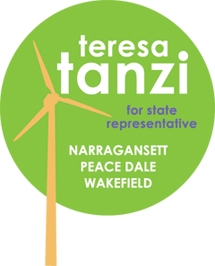 I am writing to share why it is that I support Representative Teresa Tanzi (D-Dist. 34 Narragansett, Wakefield, Peace Dale) for re-election. In the four years she has served, I have had to call on my elected officials for assistance navigating issues with both the town and state, and the one person I could always count on to return my call and follow through has been Representative Tanzi. When I needed my septic tank repaired and the state was threatening to put me out of my home until it was complete, she thought it was unacceptable that I couldn't get any answers from state and local offices. She not only walked me through the paperwork side of the issue, but she also showed me where I could get low-interest financial assistance to complete the work. During an incredibly stressful time, she was there for me and not only got me through the process, but became a trusted ally. She did not know me from a hole in the wall and, yet, she came to my aid immediately. I hope you not only vote for her on Election Day, but know you can count on her to help you when you need it most.